On arrival transfer to the hotel of your choice, check in at your hotel and get yourself comfortable for the next two nights' stay. In the afternoon drive through rugged lava fields to the Blue Lagoon, a unique natural pool of mineral rich geothermal water located in the middle of a lava field in the pure and beautiful Icelandic wilderness. 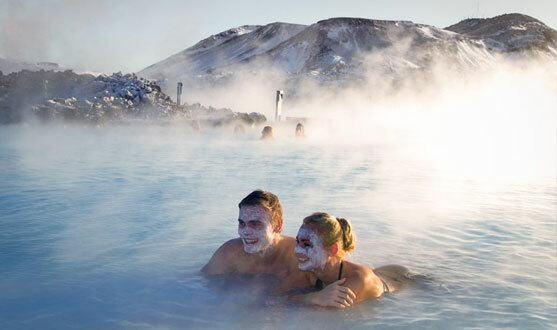 The Blue Lagoon is known for its special properties and its beneficial effect on the skin and attracts visitors from all over the world in search of health, relaxation, and an exotic experience. We stop for a refreshing bath or swim in the pleasantly warm mineral-rich water, reputed for its healing properties. Head back to Reykjavík. Overnight. Hraunfossar Waterfalls – Barnafoss waterfalls- Deildartunguhver Hot Spring - Reykholt. Breakfast. Combine history, natural spring water and relaxation. 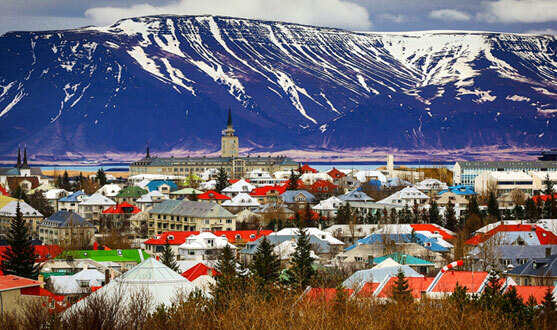 Visit the West of Iceland and get essential Icelandic experience by visiting places off the beaten track which are outstanding, not only natural beauty but historical importance. The day starts with Deildartunguhver hot spring, Europe´s highest outflowing hot spring. Right next to it is Krauma Geothermal Baths. 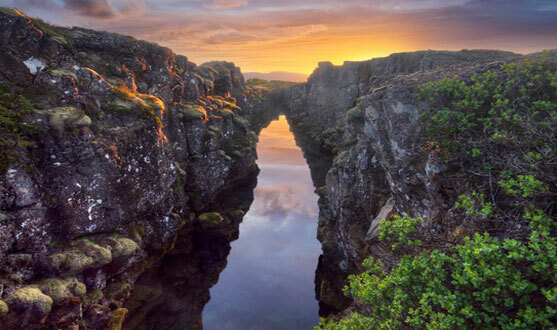 From there you will visit Hraunfossar waterfalls, or Lava Falls – beautiful and unusual natural phenomena. Clear, cold springs of subterranean water seep through the lava and run as tiny waterfalls and rapids into the Hvita River. Final stop is Reykholt, Iceland´s most notable historical sites. Reykholt is most famous for being the home of Iceland's best-known author Snorri Sturluson during the years 1206-1241. An ancient geo-thermally-heated pool, Snorralaug, is named after him. It is one of the few things preserved whole from Iceland´s medieval period. Return to Reykjavik in the early evening. Breakfast. The route leads from Reykjavík to Keflavik airport for check-in. Departure from Reykjavik should be at least 3 hours prior to flight. Children below ages 5 years not permitted. 2 nights including breakfast at the hotel of your choice. One entrance to hotel's spa. Non-guided coach transfer and entrance into the Blue Lagoon including Comfort admission; Comfort Entrance to Blue Lagoon, Silica Mud Mask, use of towel, 1st drink of choice (Please note the Blue Lagoon has an age limit of 2 years). Small group guided Silver Circle tour, including stop at Krauma Geothermal Baths. Entrance to Krauma Geothermal Baths. Remember to bring your swimsuit.